Weber says he misses the “regular interaction” with people at the start of their careers he had as an academic and has to make time to meet younger employees. You can read the first part of Business Insider’s interview with Weber here. ZURICH, Switzerland – Axel Weber, chairman of Swiss bank UBS, has seen it all. Starting in academia in German universities in the 1980s, he rose to become an economic advisor to the German government, then head of the country’s central bank in 2004, and is now chairman of UBS – a post he’s held since 2012. “I always tried to combine these different aspects of my career,” Weber said in an interview with Business Insider last month. It’s a unique career path through the higher echelons of the financial world, but no job is perfect. “If there’s anything I miss at this level in banking it is the more regular interaction you have with young people, like I had when I was a university professor,” Weber said in an interview last month. “I always find it extremely motivating to see 19-25 year olds that have their entire professional lives in front of them making choices on the jobs they want to do and how much time they want to invest in education over the next years. When you’re running a large financial institution, such contact with the young employees isn’t so commonplace, so you need to go out and make the time to meet with them,” he said. “I recently visited one of our branches here in Switzerland which I regularly do. This is where you meet the next generation of UBS employees. Or you meet them by seeing groups that are graduating, or by going to events for our young key talent programs,” said Weber. “It’s important to understand what’s required of us to make us attractive to young people as an employer, here in Switzerland as well as globally,” he added. “When I was an academic for 20 years I could’ve chosen to stay an academic for another 20 years. It’s a fantastic job and I always liked it. But since I was always interested in learning new things I moved on from being an academic to being a policy advisor,” he said. “Then I was offered the opportunity to take political responsibility, as opposed to just advising politicians, so I took that. 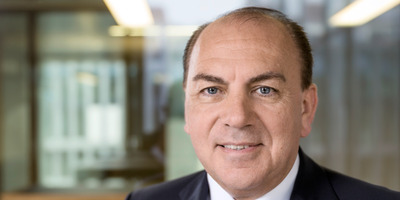 And when I left the public sector and came to UBS I was offered the opportunity to not just regulate the financial industry but to help one financial institution, in this case UBS, make the transition to the new regulatory reality and show that finance can make that change for the better,” Weber said. “For me the key has been to always make the best of the opportunities and challenges that came along,” he said. “We’ve got the traditional areas of the bank, such as retail, but there are also new areas such as blockchain and other emerging technologies constantly opening up. So there’s a hugely interesting set of opportunities for young people in different parts of the firm,” he said. “We hire around 3,000 young people every year to join the bank. It’s crucial to us that learning doesn’t stop on leaving education,” he said. UBS used to regularly lead the list of places Swiss graduates wanted to work at after university, but dropped down the rankings following the crisis. As the bank’s reputation recovers, it has since reclaimed the top spot. Meanwhile, his own role as chairman is far from a laid back one. In Switzerland, chairing a bank is a “full-time position,” running the board and working with management, Weber said.